I invited Cassie from Hi Sugarplum (don't you love that blog name?!) to guest post today, since the girls and I are busy visiting family in Alabama this week. (You can follow us on Instagram and Facebook to join the fun...and chaos) Cassie's going to share some her favorite Summer Projects and Recipes! 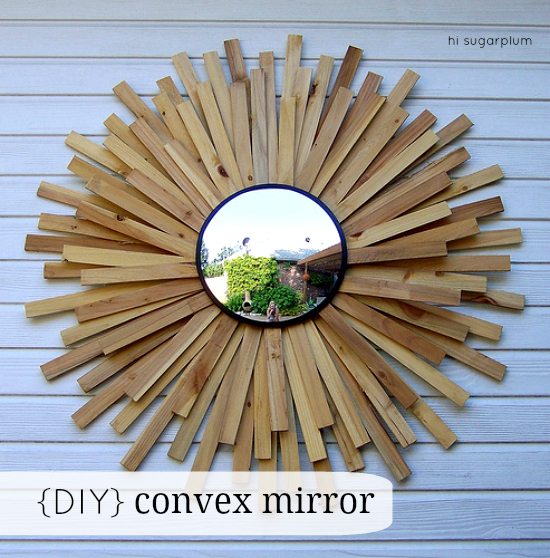 A few packages of wood shims, a mountain of glue sticks, and an acrylic mirror are all you need for this awesome, beast of an outdoor Starburst Mirror. If your front porch is anything like mine, it needs some jushing after the long Winter. 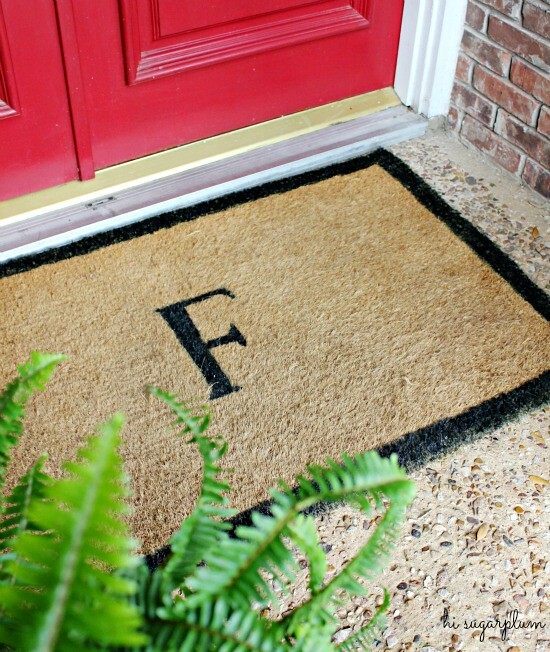 This year, I gave our old coir mat a new life with a fresh monogram. 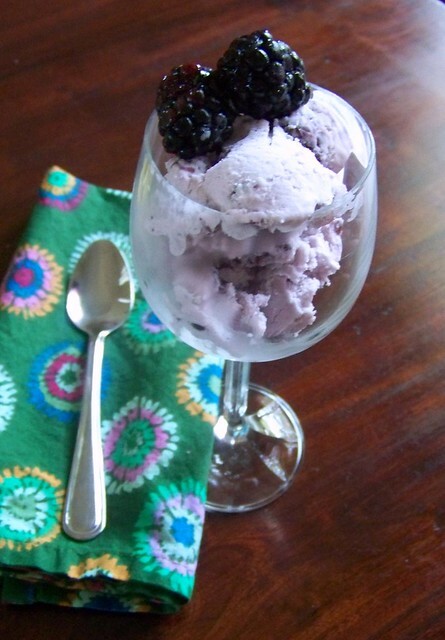 Our Cuisinart ice cream works overtime during the Summer...Blackberry, and Strawberry Chocolate Chip are always a crowd favorite. Are you a hat person? We live in Texas, where the sun doesn't quit, so I'm usually hiding under a hat. Fedoras are everywhere and inexpensive, but not always cute. I snipped the generic band off mine, and gave it a dose of preppy. 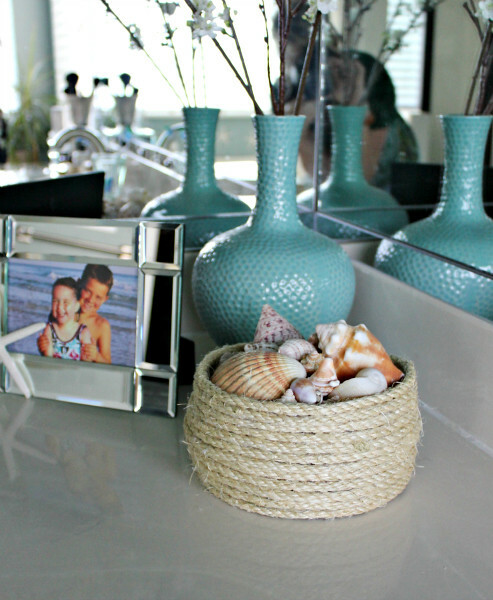 I can never resist a $5 package of sisal rope...it just holds so many possibilities! 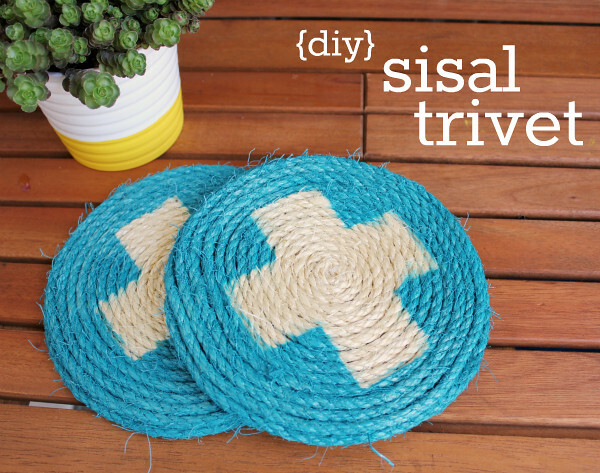 After about 5 minutes and 12 hot-glue burns, I had a new set of Sisal Trivets. And since I still had rope left over, I whipped out this Sisal Bowl. 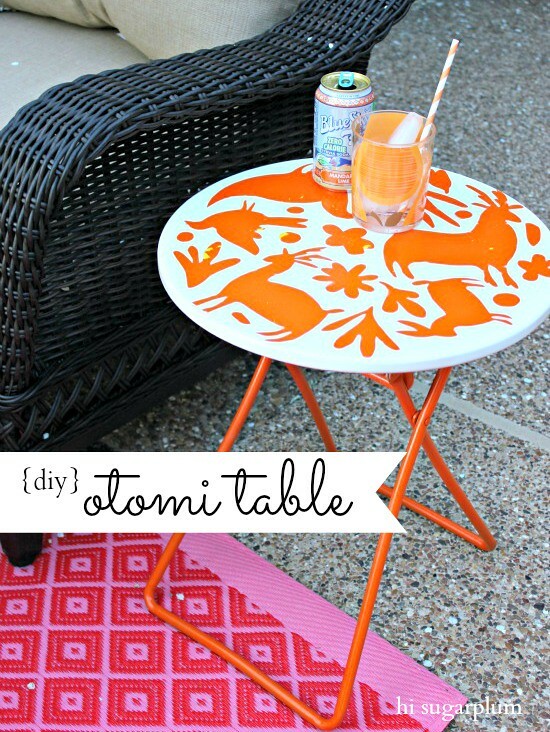 But my most favorite Summer project to date, is our Otomi Stenciled Table. With a little contact paper and some spray paint, we have a unique, quirky outdoor table. Thanks so much for letting me share...hop over to Hi Sugarplum and browse through my Project Gallery for more fun ideas, or poke around Our House if you're a creeper like that. Okay, is that otomi table not the cutest! If you head over to visit Cassie at Hi Sugarplum, be sure to tell her I sent you! 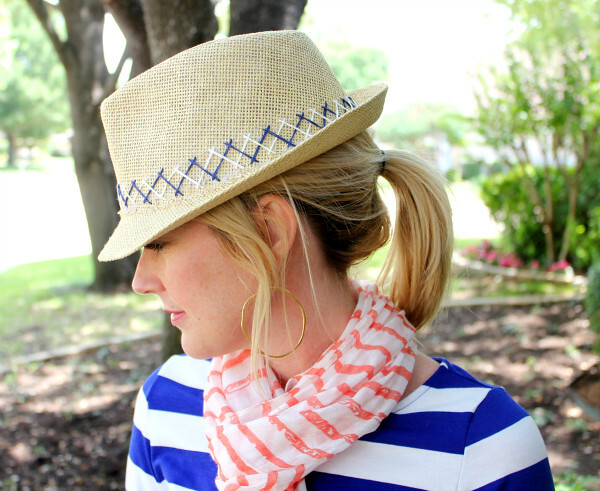 Her blog is full of fab DIY projects...she has great style! Love Cassie's blog too! She is awesome! Cassie never ceases to amaze me! Thanks so much for having me Amanda!! Hope you're having a great time! BTW - Where did you get your acrylic mirrors?